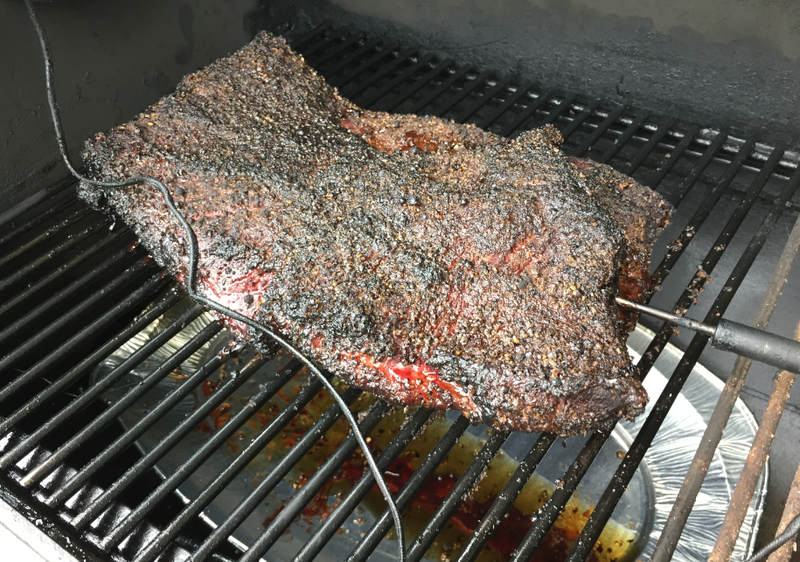 I would like to get a nice bark, and the same time not drying out the brisket. But with my previous process there was never a good/firm bark: it was too soft. No Salt in the Rub. 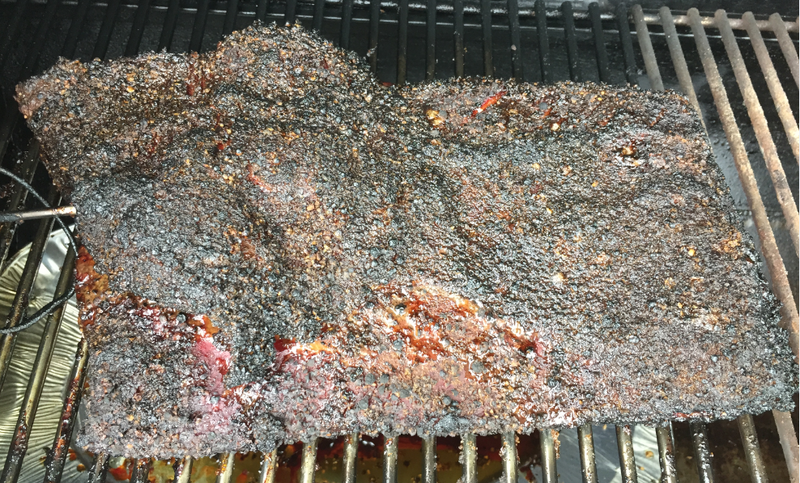 Salt it the day before, let it rest overnight in the refrigerator (see “Part 1: Barbecue Beef Brisket Texas Style – The Meat and the Salt“). No Marinade during the Night. 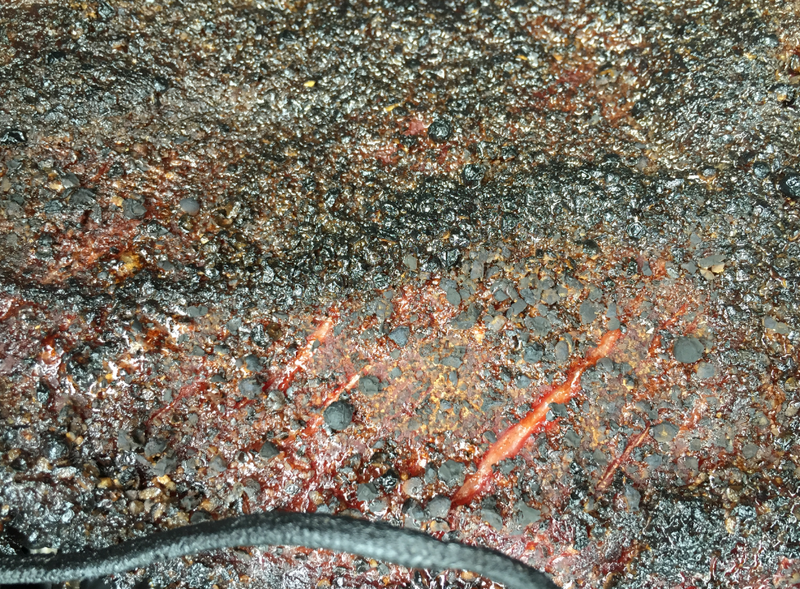 I put on the rub just before putting the brisket into the smoker (see “Part 2: Barbecue Beef Brisket Texas Style – The Rub“): Pepper, little sugar, some onion/chilli/garlic powder. 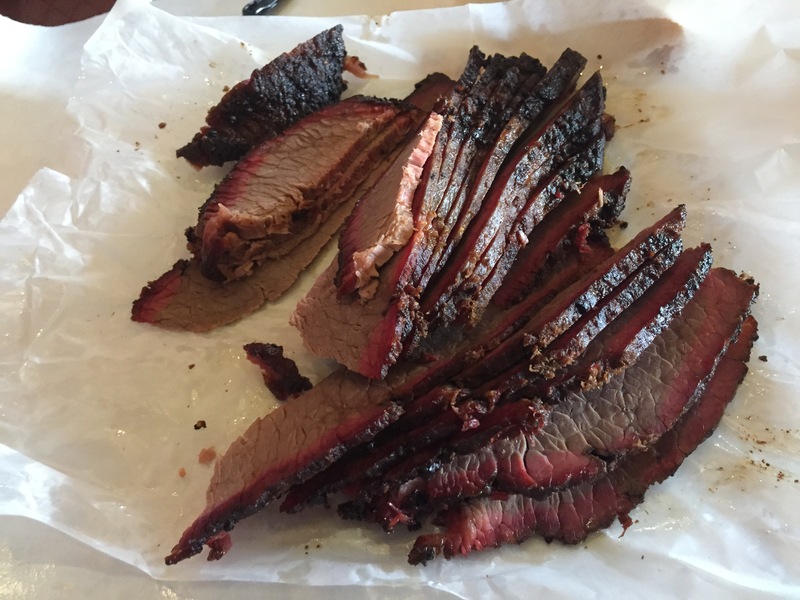 Slow and Low: around 110°C for about 3 hours per kilogram (1-1.5h per pound) (see “Part 3: Barbecue Beef Brisket Texas Style – The Fire“) until it reaches a core temperature of 93°C (200°F). No Basting. Applying marinade while in the smoker will soften the bark, but I want to have a nice and cruncy bark and crust. The meat gets the rub at the start, and that’s it. No Texas Crutch. No wrapping in foil. 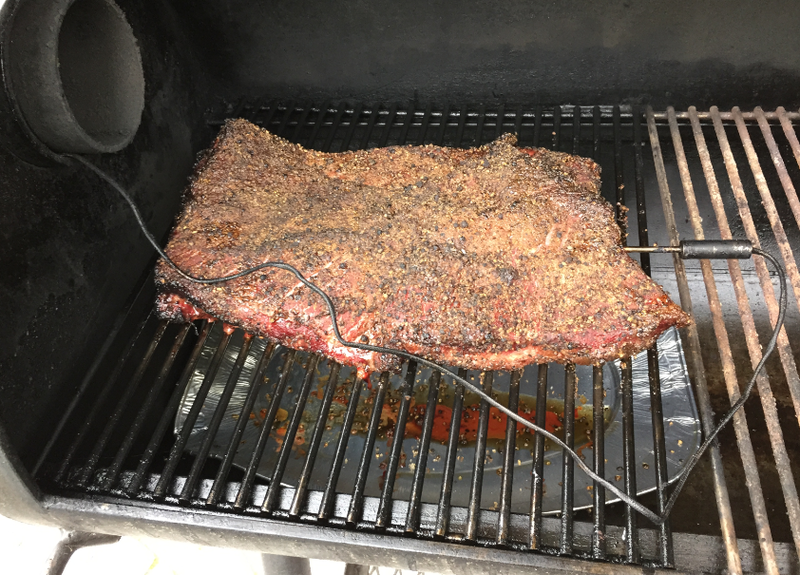 Instead, I just count in little more time to have it in the smoker. See this article with a comparison between foiling and not. Faux Cambro. 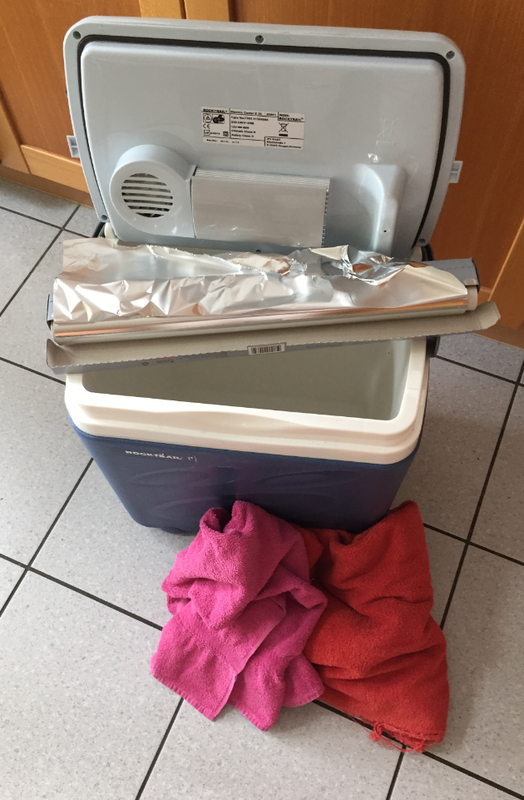 When the meat hits 95°C inside, I take it off the smoker and wrap it tightly into heavy-duty aluminium foil and put it into a cooler box for 2-3 hours. Core temperature is stalling at 75°C. So more time to go…. 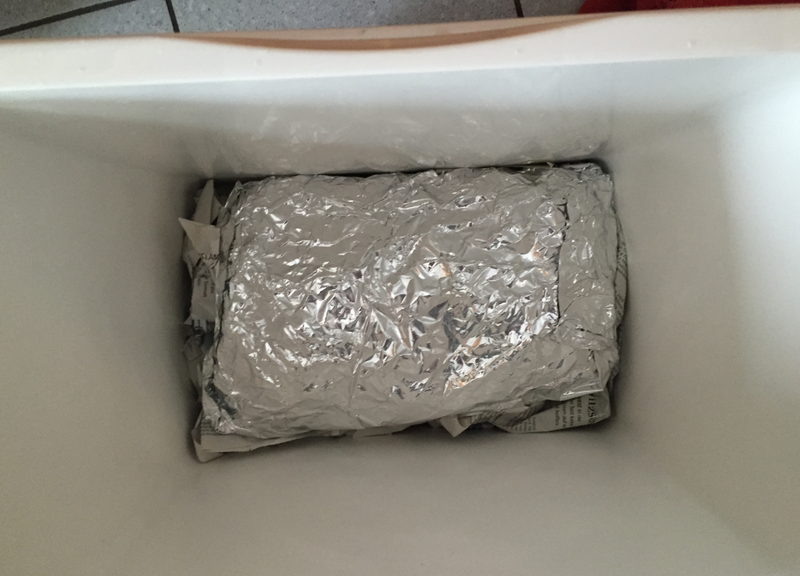 Next: wrapping it in foil and hold it for one hour…. Put hot water into the box to warm it up, with the lid closed, for say 10 minutes (larger cooling box might need more time). 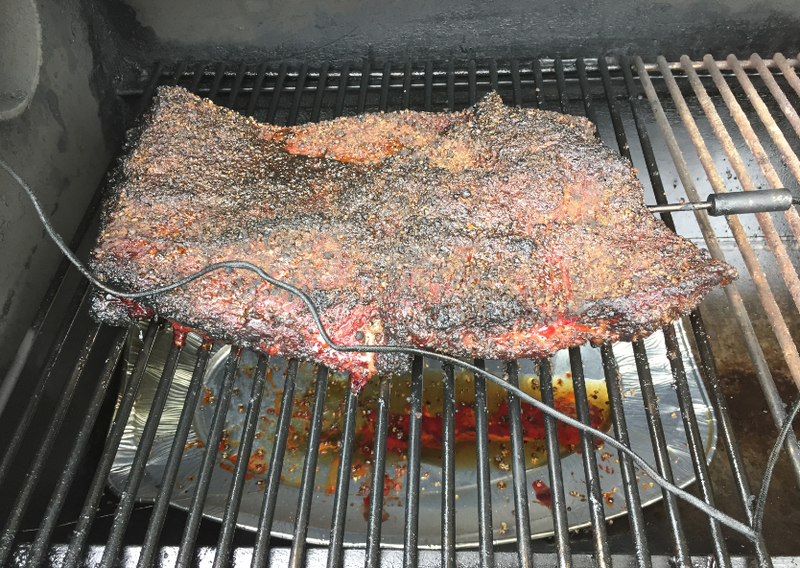 Wrap the brisket into heavy aluminum foil. Remove the water from the box. Store energy in the towels: Soak the towels with the hot water, then wrangle them out. 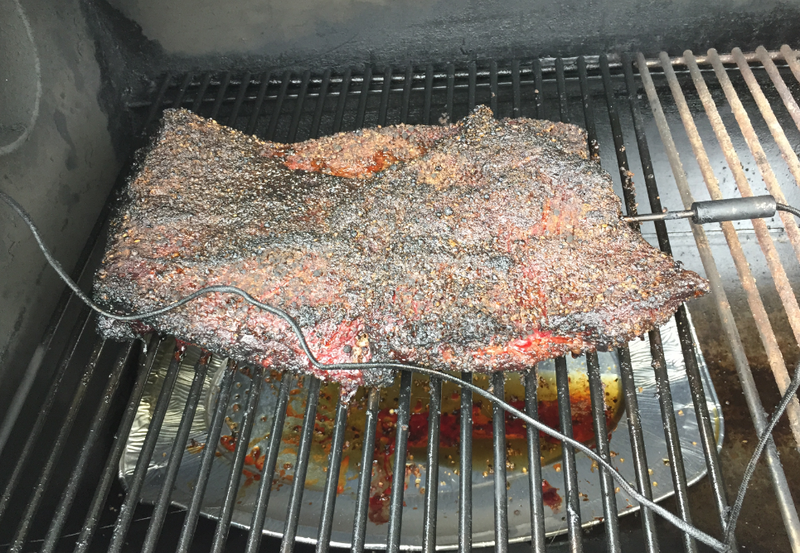 Close the lid and let the brisket for at least one hour. The idea is to hold it at or about 76°C (170°F). That cooling box is a great way to bridge the gap until the party starts, and it can be used to transport the meat to an offsite party place. It keeps the meat warm, and allows it to cool slowly. The only disadvantage will be that it might soften the bark. Will see how it turns out. Let’s see if the result is what it should be. One hour to wait. Stay tuned …. 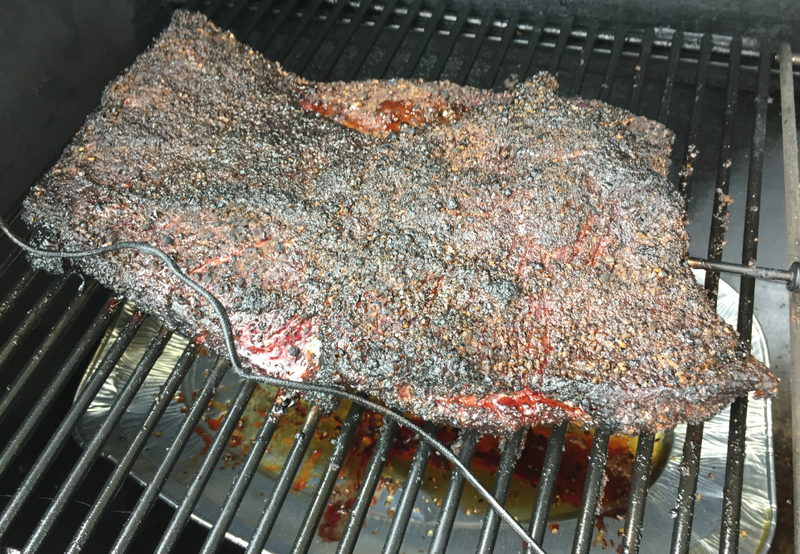 This entry was posted in BBQ, Tips & Tricks and tagged BBQ, Brisket, Tips&Tricks by Erich Styger. Bookmark the permalink. Yes, THAT’s a cool project 🙂 ! Thanks for providing the link!